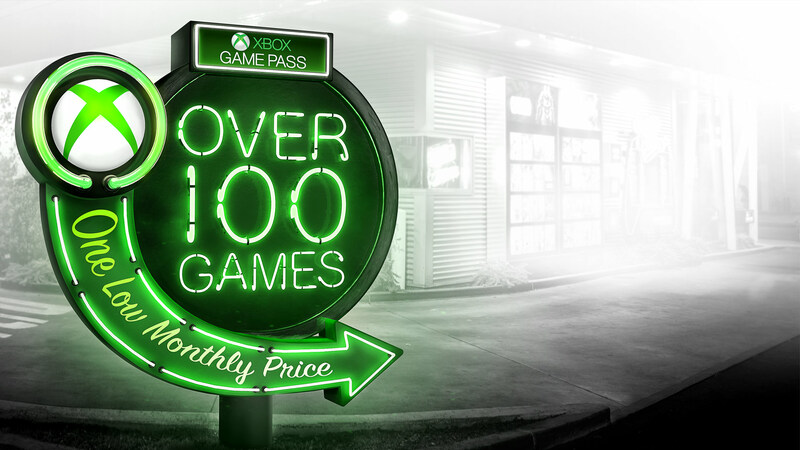 Microsoft's Xbox Game Pass subscription service launched back in February of last year, promising users constant access to over 100 Xbox One and Xbox 360 games for $9.99 a month. Although the service was initially only available to select alpha testers, it later opened up to all Xbox Gold members with a two-week free trial. The service has been dubbed the "Netflix of games" by the media on more than one occasion and with good reason. Game Pass users receive a steady stream of new game additions while older titles cycle in and out over time, much like how Netflix handles its vast content library. However, Microsoft is looking to shake this comparison up a bit by offering Game Pass users access to every new Xbox exclusive on the day it launches. Given the fact that most new games cost $60, this could prove to be a major boon for Xbox owners, particularly during periods of time where several exclusives launch in short succession. Microsoft has noted that Sea of Thieves, due out on March 20, will be the first exclusive to fall under this new policy. Titles like the zombie-themed State of Decay 2, Crackdown 3 and unannounced entries in the Halo and Gears of War franchises will follow later on. According to IGN, GameStop will be promoting this service upgrade by offering 6-month Game Pass subscription cards for $59.99 starting on March 20. That offer will only apply to US-based gamers for now.